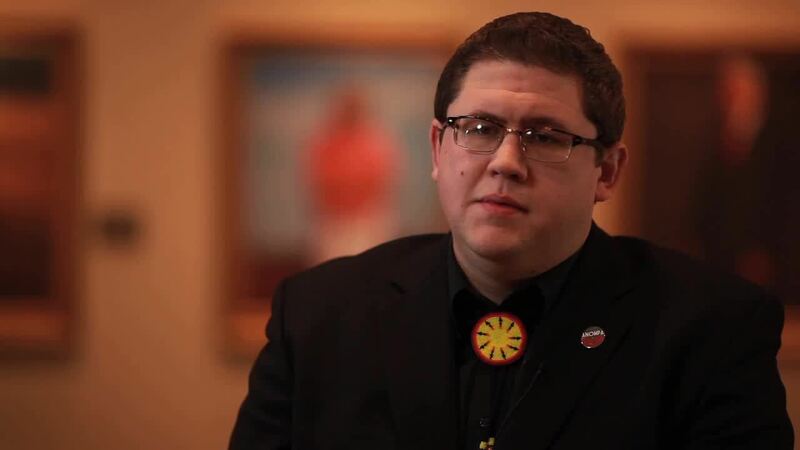 Joshua Hinson is an artist and Director of the Department of Chickasaw Language in the Division of History and Culture for the Chickasaw Nation. 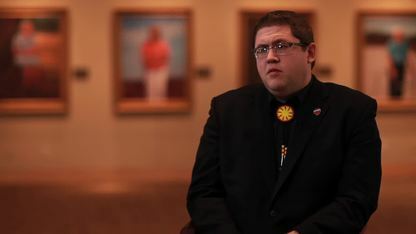 Here, Joshua describes his background in fine arts and how he eventually became drawn to both art history and native language revitalization. Josh Hinson speaks about his family, childhood and Chickasaw heritage in the Chickasaw language. 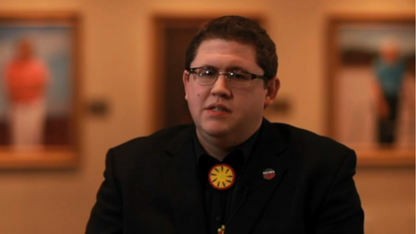 Joshua Hinson describes how his family learned the history of its clan, the Panther Clan. Joshua Hinson recalls the first Chickasaw dictionary he had and explains how he became more interested and proficient in the language. Joshua Hinson explains the keys to keeping the Chickasaw dialect alive. 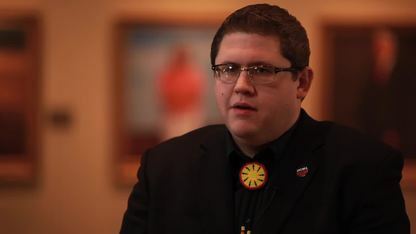 Joshua Hinson explains how the Language Committee's knowledge base is incredibly important to the survival of both the Chickasaw language & culture. Joshua Hinson describes the lack of variation in the Chickasaw dialect & how that fact is an advantage to teaching the language to future generations.